Amway volunteers worked hard at Camp Manitou-Lin. 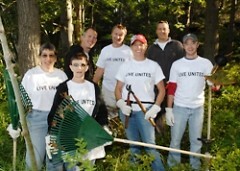 Friday, September 10th over 1,600 United Way Day of Caring volunteers will spread out across West Michigan armed with rakes, shovels, paintbrushes, and a determination to improve the community in which they live. Our community’s largest one-day volunteer event, Day of Caring brings together volunteers from 45 local companies to complete 79 service projects at 61 agencies and schools. The end result? More than 5,000 hours of service to make our community better and stronger. 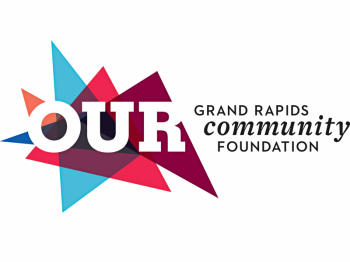 Day of Caring projects are located at 79 different sites all over West Michigan. From mentoring Grand Rapids Public Schools students at the Children’s Museum to cleaning stables at the Equest Center for Therapeutic Riding, Day of Caring partners area agencies with volunteers from companies such as Amway, Spectrum Health, Steelcase, Fifth Third Bank and 41 other corporate partners. To learn more about the 2010 Day of Caring Highlights and participants, visit the Volunteer Center website.